Building up your body strength in the comfort of your own home—this is something many a user is surely looking to achieve. Problem is, as always: lack of motivation and a training schedule that’s more confusing than effective. runtastic PushUps PRO is there to help even the laziest wannabe athlete get in shape. Does it work? We’ve taken it upon us to test the application (and get fit doing so), so read on to find out how it (and we) fared during out test runs. Please note that the screenshots were taken from the runtastic app page on AndroidPIT, and runtastic own the screenshot rights. Our statistics were unfortunately wiped out when we switched to the PRO version. Being physically active is a great thing on the whole, both for the mind and body. So why don’t we work out more often? The way I see it (and already mentioned in the intro), it’s all down to lack of motivation and a messy training schedule. I don’t know about you, but I’m not the type to just throw myself on the floor and start doing a bunch of sit-ups and push-ups before hitting the sack at night. I mean, that would be better than not doing any exercise at all, but I still prefer a more detailed training schedule. So for the past few days I’ve been using various apps from the runtastic line. Almost every runtastic app comes in two version: free and PRO. The free versions are great for trying an app out to see if it’s a good fit. In most cases I decided to go for an upgrade, which speaks highly of the free versions alone. Please note that at the moment training data is lost when you upgrade, which can but a bit of a damper on your motivation to keep working out according to your schedule. 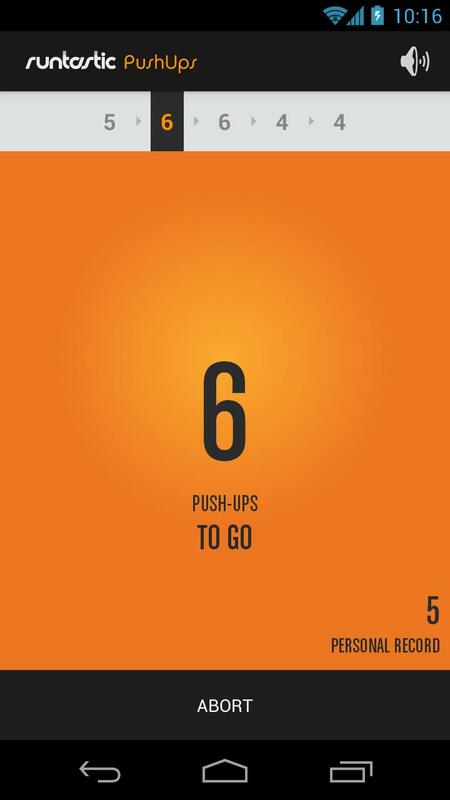 As the app’s name indicates, runtastic PushUps PRO is all about doing push ups. 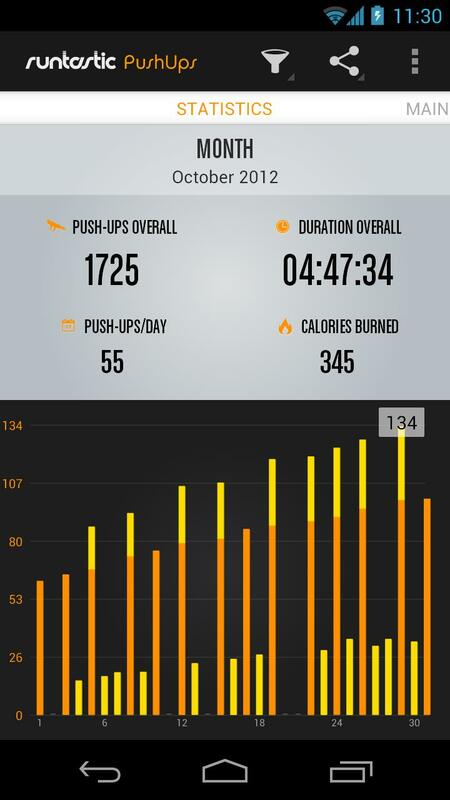 It keeps track of how many push ups you do using the inbuilt sensor. Simply place your smartphone, display facing upwards, on the ground near where you’re doing push ups. The device then counts the number of push ups you do. I tested the app a few weeks ago, and in comparison it did remarkably better at getting the number of push ups right this time round. The app’s main appeal is that users can set up their own training plan according to whichever level they have chosen, and the goal is to be able to do 100 (!) push ups by the time you’ve completed your cycle. I’m already looking forward to rock hard muscles, though I must admit that I still have quite a ways to go. I wouldn’t go so far as to say that this app will help users create a highly individual – and thus ideal – training plan but the app does help you keep track of you accomplishments. All data can be saved to runtastic.com, and there are integrated Facebook, Twitter and Google+ options for sharing your success (or failure) stories with contacts. To keep you motivated, you can tick off accomplishments such as “do 10 push ups”. Visual “rewards” are always motiving, and can help you make it through the initial grueling phase when you need to condition your body to sticking to an exercise regime. 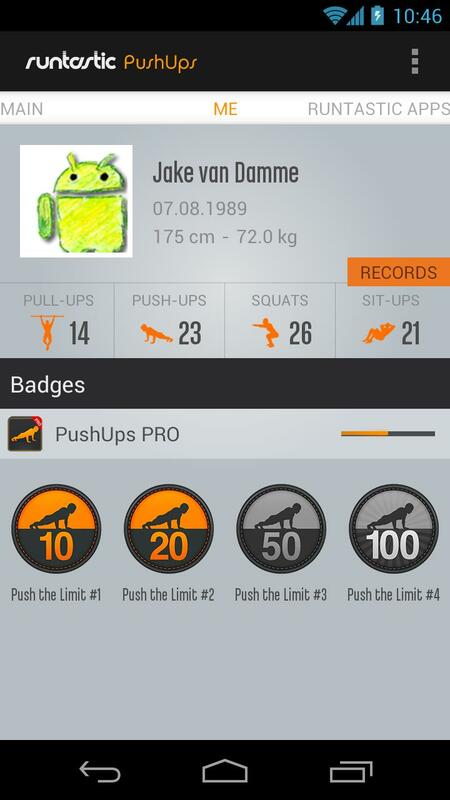 runtastic PushUps PRO is a viable option for users who want to work on their upper bodies. A training schedule and motivational devices help keep you on track rather than wanting to throw in the towel. The integrated analyses on runtastic.com is efficient, and the developers are very good at getting back to you should you have any questions. I would love to see more parameters for creating more detailed/personal work out plans. Go ahead and try the free version if you’re still hesitant about going PRO. runtastic PushUps PRO comes in the stock runtastic design, but simultaneously it’s adapted to Android design guidelines—so it goes without saying that we rather like the app’s overall look. Overall we are very satisfied with this application’s graphics, controls and general usability. Swipe gestures and using various tabs feels intuitive and without ever lagging. Our hats are off to the developers for managing to harmoniously integrate their own design concept into a global system. runtastic PushUps PRO performed flawlessly throughout our test runs. 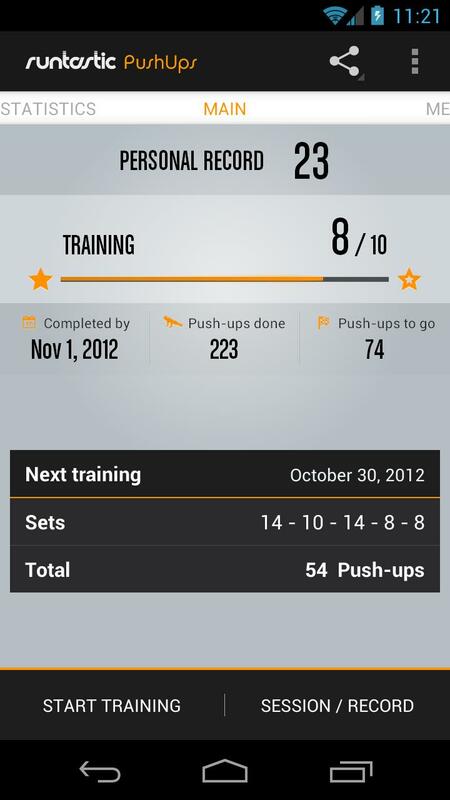 runtastic PushUps PRO is available for €0.89. A free version is available to be tried out. great writeup! i'll try this app.